One of our most important suppliers of traditional French wines from family-owned, small-scale, boutique wineries is oufriend Ed Addiss of Wine Traditions. 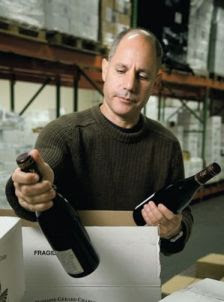 Not only are wine imported by Wine Traditions unique and excellent, but they're fantastic values as well. For this event, six of the impressive producers represented in the Wine Traditions portfolio will be presenting their wines for a unique, exciting and educational tasting experience. Not only that, but during the event all the wines presented will be on sale (at least 10% off regular prices).